Can we confirm whether this needs to be a live multiplayer match? Otherwise I’ll go the easy route too! 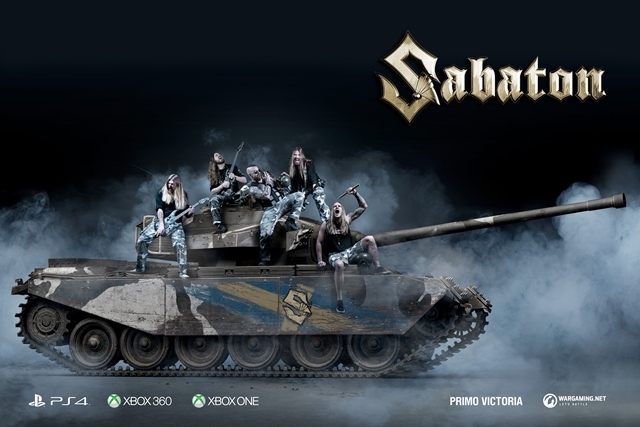 I don't have any Swedish tanks atm, but might try to get one it if MP isn't a condition. If it is then I must skip it. I haven’t run my Stark in a while because everything’s been so Russia crazy. 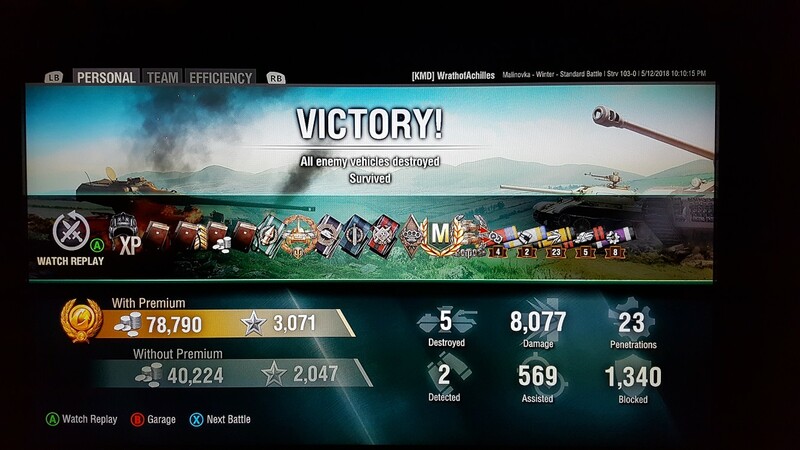 I loaded some equipment up and this was my second game today and finally my first MoE on it!! I almost forgot how nice the gun is.....almost. Nice game, i keep being matched with Russians. 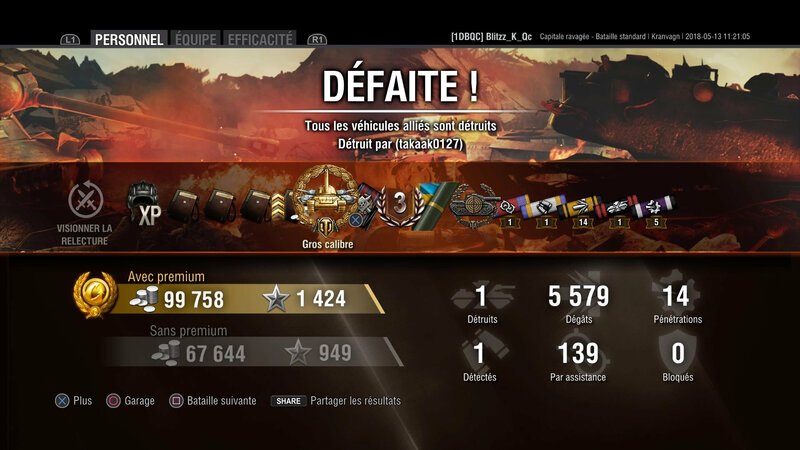 My entry into @RAIBot01 Swedish Contest, i know it's War Stories but really struggled to get 5k dmg/6 kills, came close twice before Arty ruined my game. ​Come on Mashman, I believe in you, playing warstories how low can you go. you still got plenty of time. you can do it. If i can do it in MP, then i'll edit the post but really struggled as i try but team gets overwhelmed then i may get one or two shots, Also fast tanks when i try and use travel mode to get to wall and then siege mode to shoot, didn't work. I contemplated selling it as it was annoying me (not raging) that much just to try extra hard for this contest. Put too much pressure on myself to try and do well. 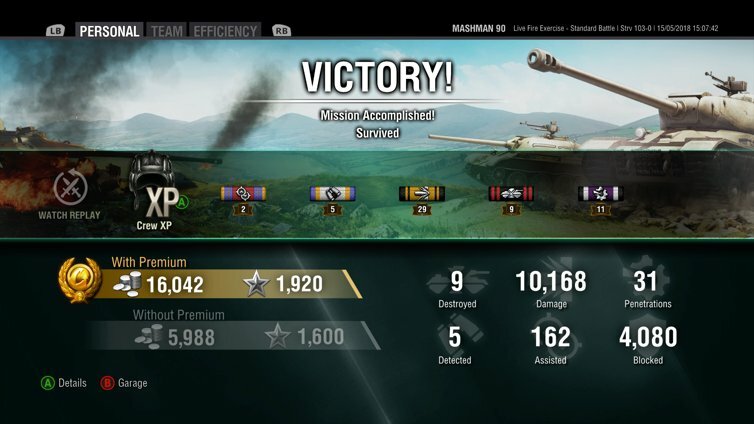 I was close in the 2nd screenshot but Arty ruined that as i needed 2 more seconds to shoot Premium into the Lower Plate of the Maus. Between Soviet Dreams (On 744/825 now for the last tank on my list ISU-122 S, got T-29 (225) and T-50-2 (650)) and trying to hunt Raibot for the Arty Challenge, i'm not playing the Strv 103-0 much. The rules are still the same , so technically war stories screenshots can be used. The very reason i'm not posting and don't have one to even try. If I participate and win the tank, can I name another player who will get it, because I already have it? I have at least two players in my FL and in personal reach who want that tank but aren't that good players to play games with any of these outcomes. Thanks for clearing that up Rai , don't think I'll be entering this one as I'd be running a stock tank, unless the wee man has been running Swedish tanks through ws and pg. Need to check later or tomorrow. Europa League Final tonight.